When we met Katina, she had just returned from a 700-mile road trip up the California coast, a scenic journey we think every car enthusiast should experience at least once. This was one of many trips she's taken behind the wheel of the '68 Firebird, and the car completed it without any issues. 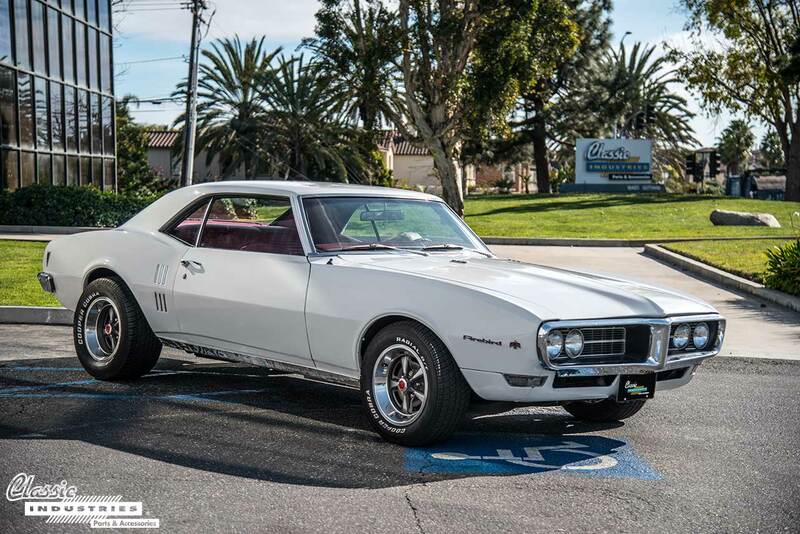 Katina's Firebird has been completely restored inside and out, with elegant white paint on the exterior sheetmetal accented by chrome emblems and trim. 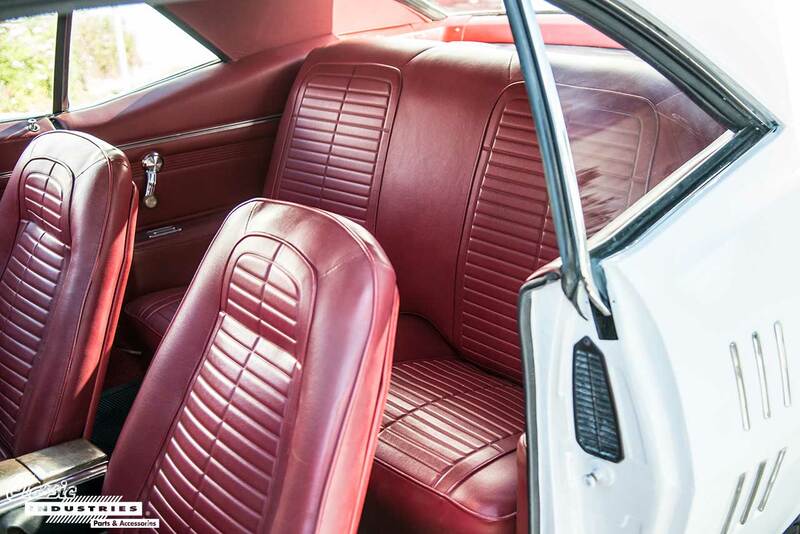 The interior has been reupholstered in original-style red vinyl, matching the door panels, headliner, and carpet. There's also an upgraded sound system with the stereo head unit hidden inside the glove box. 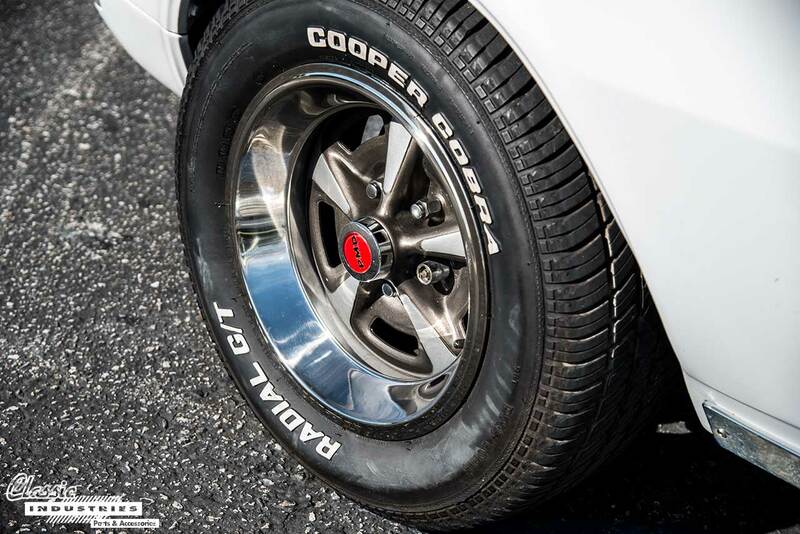 The Pontiac rides on Rally II wheels with wide Cooper tires. Suspension upgrades provide a slight rake in this car's stance, adding a sense of aggression to its otherwise dignified look. 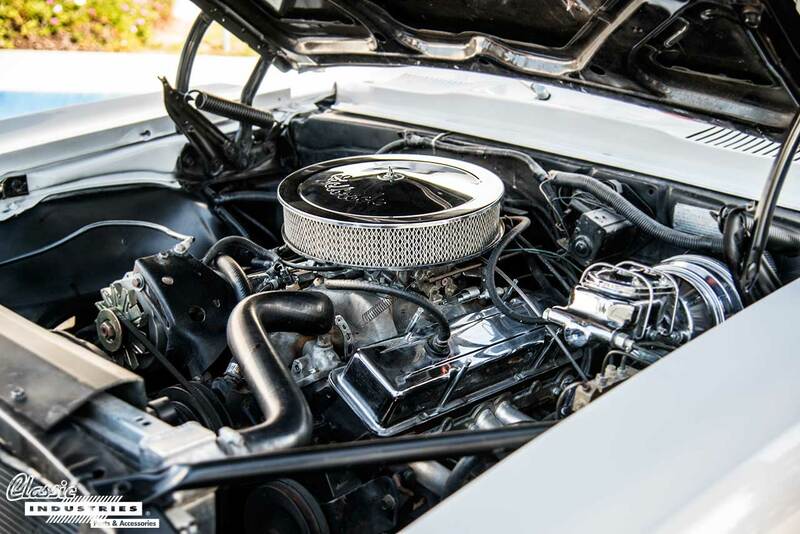 The Pontiac is powered by a 350ci small-block V8, which has been outfitted with long-tube headers, a high-flow carburetor, and a few other mods to improve performance. 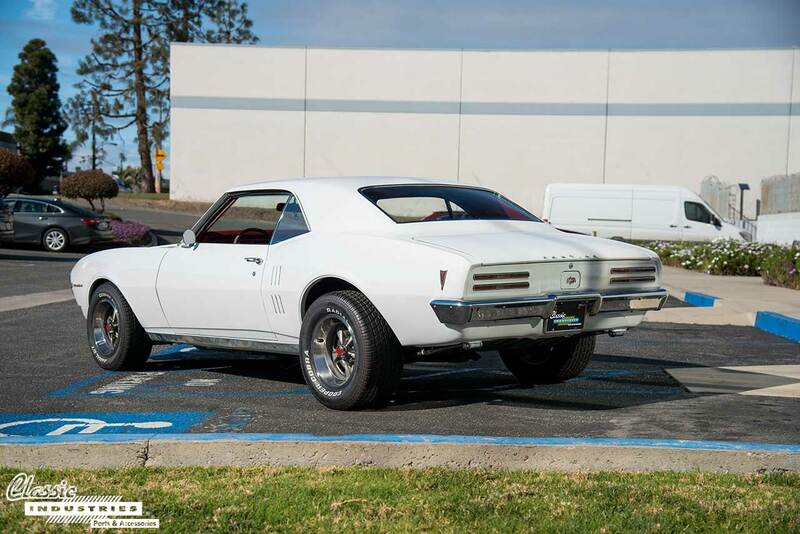 Many of the parts on this '68 have come from the Classic Industries Firebird catalog, and Katina says she plans to buy many more in the future. After all, when you drive a classic car every chance you get, it's helpful to have a source for replacement parts and maintenance supplies. 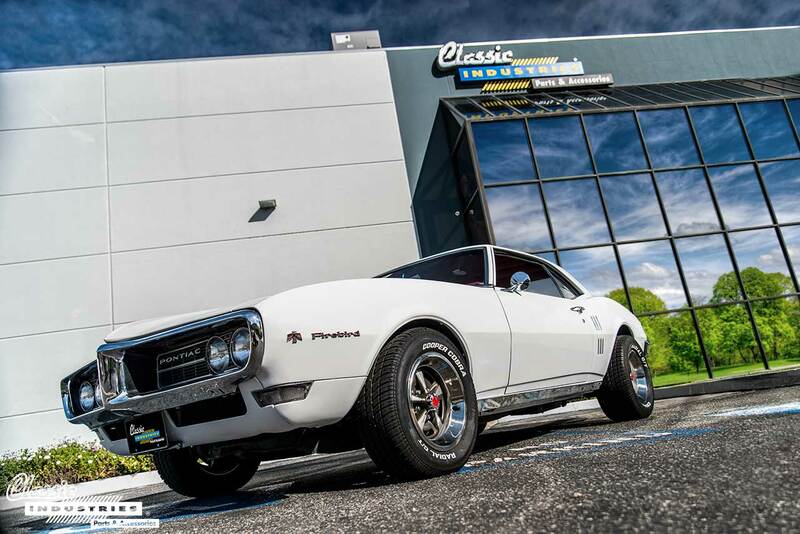 If you own a classic Pontiac Firebird or Trans Am, the Classic Industries Firebird catalog offers a huge selection of reproduction parts and accessories to keep it looking good and running strong. 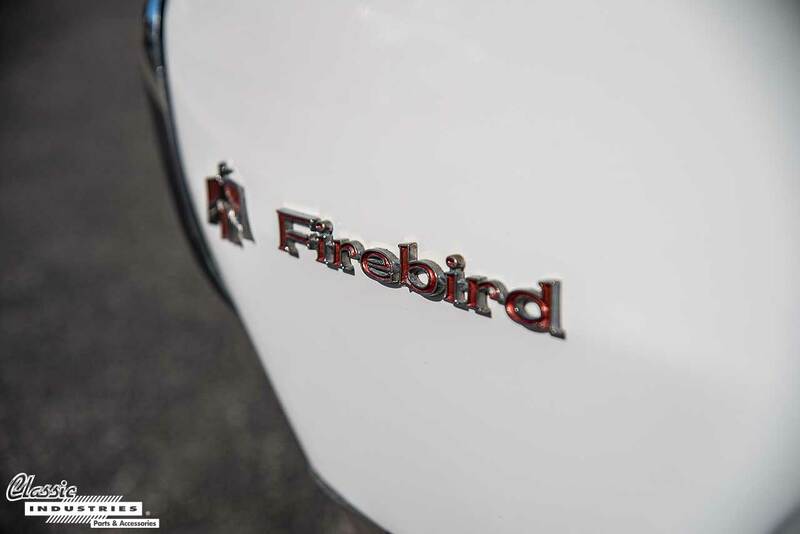 Click the button below to get your free full-color Firebird parts catalog.